A bad credit score not only interferes with you getting a loan or a credit card, but it can also prevent you from getting a job. Many employers base their final decision on the applicant's credit report. The status of your credit report gives the employer an idea of how dependable you are likely to be. Read: What’s Considered “Good” Credit? 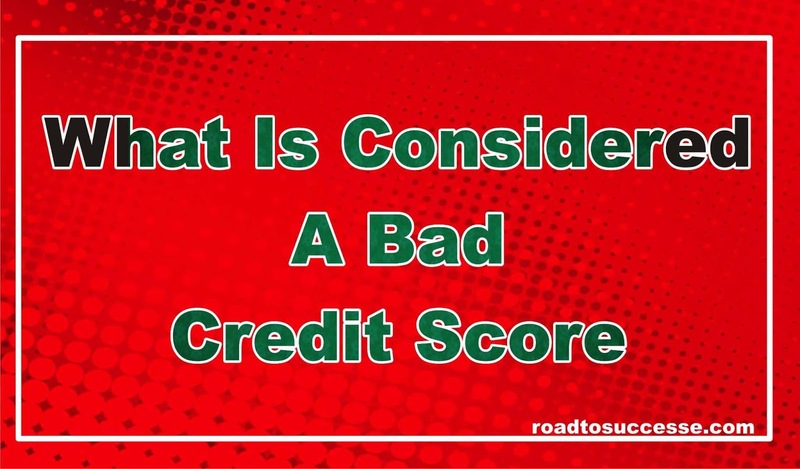 A bad credit score can stop you from getting an apartment or home. Most landlords do credit checks to see if potential tenants are financially responsible. A bad credit score can stop you from getting auto or homeowners insurance. Insurance brokers know that statistically more claims are filed by policyholders who have poor credit. If you have poor credit, you will be charged a higher premium or denied altogether. Generally speaking, anything below 620 is a bad credit score. You are going to have a very difficult time getting anyone to lend you money. If happen to qualify for a loan, your interest rate could be as high as 36%. And on the off-chance you do get a credit card, your interest rate will be in the mid to high 20% and you'll most likely to charge a security deposit or high acquisition fee. Not necessarily bad, but not good either. Here you are getting into dangerous territory and will likely pay much higher interest rates, pay higher fees and have lower credit limits. Some lender and credit card issuers may even deny you altogether. This shows someone with bad credit paying $6,000 more, than someone with good credit! This shows a person with bad credit is paying a quarter million dollars more than someone with good credit, only crap!